With the special election next Tuesday, almost every aspect of Alabama’s U.S. Senate race has been dissected by now. But although the campaign has received national attention, one important question has so far been overlooked: What does each candidate like to drink? So I reached out to both Doug Jones and Roy Moore to ask them what might be the deciding issue of this race: What is their favorite Alabama beer? As the candidates declined to respond to my inquiries, I instead decided to look at the breweries in their hometowns. Judge Moore, as we have learned over the past few weeks, is from Gadsden, which is also home to the Back Forty Brewing Co., best known for its Truck Stop Honey Brown Ale, which has been recognized nationally, even winning a silver medal at the Great American Beer Festival. One of the oldest breweries in Alabama, Back Forty was founded in 2009. Its tap room is located on 6th Street — not far from the mall — and open Wednesday to Saturday. In addition to its Truck Stop Honey, Back Forty also puts out a number of other styles, including Freckle Belly IPA and Naked Pig Pale Ale (both of which sound slightly naughty given what we’ve learned about Dothan), which are readily available on tap and in cans in Lower Alabama. The Freckle Belly has a bitter finish, which might turn some people off, while the Naked Pig is a really nice, strong pale ale with good hop flavor, what many breweries would call a session IPA. On the other side of the aisle, Jones, the son of a steelworker, grew up around Birmingham. While the steel industry in the Pittsburgh of the South has cooled, its brewing industry is white-hot, with seven breweries in and around the city. 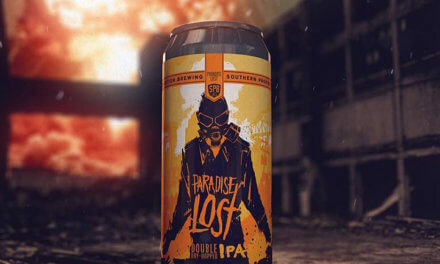 Two of Birmingham’s most popular breweries recently merged when Good People Brewing Co. purchased Avondale Brewing Co. Both of these breweries produce a number of excellent beers and have fantastic tap rooms. While now under the same ownership, they will maintain their individual labels. I’ve long been a fan of Good People’s brews, many of which are available in our area, especially its excellent Pale Ale and Brown Ale. Good People regularly puts out seasonal selections, and right now its Mumbai Rye IPA is available. While the name alone would probably make Ol’ Roy cringe and look for someone to deport, it is really an excellent beer, hoppy but smooth. Try one (or “moore”) before they are gone. If you are in the Magic City, Avondale’s tap room and sour room on Spring Street are worth a visit. Avondale’s Vanillaphant (which is also available in cans) is one of my favorite dark beers, with wonderful vanilla flavoring that temper the porter. Even if you don’t like dark beers, it’s worth a taste. Its Mill City White is also very popular, a Belgian but with a strong spice finish. It’s probably not for everyone, but certainly worth a try. 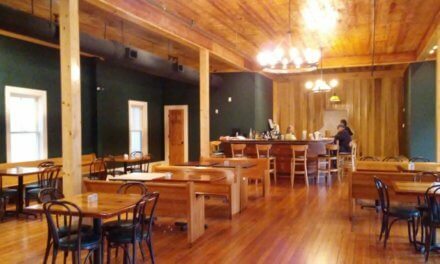 (Photo | Facebook) Avondale Brewing Co. is a small brewery housed in a fully renovated, historic building in the Avondale area of Birmingham.